Don’t forget if you want to present a session on SharePoint then feel free to contact the regional organisers. It’s back! The ever popular vendor night returns to the SharePoint User Group in Cambridge, with three excellent vendors presenting. Did you know that the SharePoint Evolution Conference 2015 is set to be the largest SharePoint conference this year? This will be the 7th consecutive year, Combined Knowledge has run a SharePoint Conference. They are now recognised globally as being The SharePoint Conferences to attend. In fact based on other conferences I have attended both as an attendee and as a speaker they are one of the best organised and run as well. 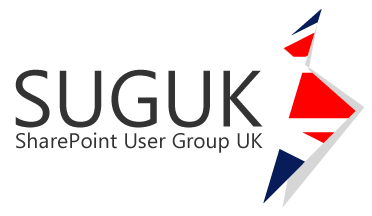 SharePoint User Group UK attendees can get a discount when they book just give them a call. If you register before 31st March 2015 you could win a Drone! If you do attend please come to my session Migrating your Intranet and Managing your Documents in SharePoint. Back again at are regular Cambridge location (Holiday Inn Express Cambridge) for a couple of interesting presentations. We are welcoming back Seb Matthews (@sebmatthews) and Paul Hunt (@cimares) to present sessions. The SUGUK Windows Phone App providing information on events can be downloaded from your Windows Phone 8 device from http://bit.ly/SUGUK-WP (case sensitive). Apps for other devices are coming later this year!